ISLAMABAD: The special audit report on the expenditure of Pakistan Television Corporation (PTV) has revealed that former PTV Managing Director (MD) Attaul Haq Qasmi has been found involved in the misuse of funds. Documents available with Pakistan Today show that the government had paid a total of Rs 35.8 million in salary to Qasmi. In addition to this, the state-owned television channel had also paid Rs 12.4 million taxes on Qasmi’s salary. Historically, chairmen of PTV were also federal secretaries who were deputed on an ex-office basis. Qasmi was one among two chairmen who were paid a salary for their services. Dr Shahid Masood was also a chairman of the organisation and was paid for his job. Unlike Qasmi, he also held an additional charge of managing director. Qasmi was also paid traveling and daily allowances per PTV rules. He would claim self-approved daily allowances of Rs 301,753 and travel expense of Rs 215,727 for a visit to Lahore on or near the weekend. The purpose of his visits was stated to be recording commitments and conducting official meetings. Once he stayed in Ramada Hotel Islamabad with a total cost of Rs 284,753. In addition, he traveled to Belarus to attend an international book festival. Though he was not entitled accommodation on foreign trips but this expense was approved by then managing director (Muhammad Malick). Qasmi was also entitled to medical expenses per MP1 entitlements. He purchased Rs 56,999 medicine and utilised hospital facilities worth Rs 2,550 that were availed from non-panel chemist and hospital without following the applicable policy requirements. Entertainment facilities were not included in the MP1 entitlements provided to Qasmi but his membership of Islamabad Club was paid for by PTV, along with an additional monthly expense of Rs 543,153. The club membership was approved by the PTV managing director (S M Gardezi). The report stated that two official vehicles were allocated to Qasmi when he was allowed to retain only one. The report further revealed that Qasmi’s telephone expenses for his Islamabad office, guesthouses and mobile phone were calculated at Rs 123,789, around 22,000 and Rs 0.42 million respectively. The report mentioned that he was not entitled to these privileges. He also used Rs 57.01 million for house rent, the salary of the cook, purchase of items and guesthouse expenses. The report said that the PTV MD stayed at a guesthouse of Shalimar Recording and Broadcasting Corporation Limited (SRBC) from January 2016 to December 2017 (730 nights) without seeking prior written or verbal approval from PTV. The invoice was sent to PTV by SRBC on January 3, 2018, and had not been settled yet, according to PTV officials. Moreover, the report also showed that the expenses incurred on the renovation of the chairman’s office amounted to Rs 2.4 million. Mr Qasmi got his office’s retiring room and PSO’s office renovated, and due to these urgent requirements, tendering requirements of PPRA rules were not followed. A photograph of the office (before renovation) contradicts the urgent need of renovation. Approval was provided by the Managing Director (Muhammad Malick). Further, the documents stated that Rs 1.3 million were wasted on the chairman’s camp office in Lahore. It highlighted that no former chairman had ever occupied a camp office in Lahore. It also revealed that Qasmi used funds worth Rs 59 million for a programme, titled ‘Koye Hu’unn ki Justaju’, against the entitled amount of Rs 9.7 million. The report also highlighted that press advertisement expenses amounted to Rs 55 million against the allocated amount of Rs 65 million. He also misused his administrative power by firing 10 working directors of PTV, the report added. 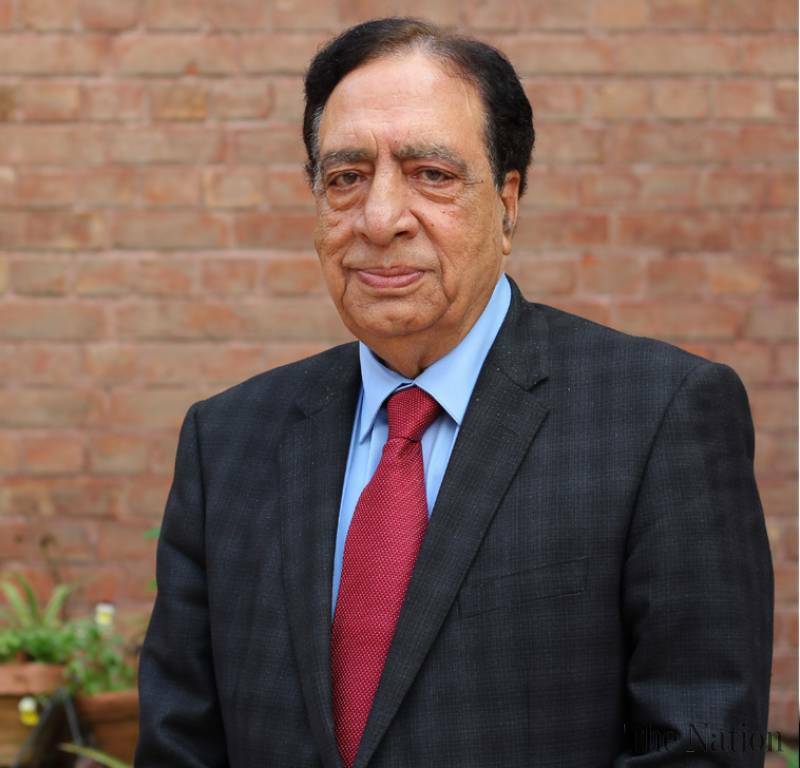 Meanwhile, the Supreme Court (SC) on Tuesday granted two weeks to the former chairperson of PTV Attaul Haq Qasmi for submission of objections on the above-mentioned audit report. A three-member bench, headed by Chief Justice of Pakistan (CJP) Saqib Nisar, heard the case regarding the alleged illegal appointment of Qasmi in the state-run television facility. During the hearing, Nisar remarked that the court would decide whether Qasmi’s appointment was legal or illegal. He further said that appointees would pay the price for making an illegal appointment. The additional attorney general informed the top court that the audit report had been completed and per the report, the PTV chairperson was not getting a salary. The apex court was also informed that the former PTV chairperson was entitled to use one official vehicle, whereas he had used more than two vehicles. The court handed over a copy of the audit report to the Qasmi’s counsel. The counsel requested the court to grant him four weeks to file a reply. On this, the chief justice gave Qasmi’s counsel to come up with a reply in two weeks and adjourned the hearing. The writer is a member of the staff, Islamabad Bureau.